Powers/Abilities: The Torch was at the peak of human fitness for an adult male of his age. He was extremely athletic, and a skilled acrobat. The Torch was a skilled fighter, both unarmed and with guns or knives. History: Paul Gibney was a high school (American) football player, the star of his team. He had just won a match when the announcement of the bombing of Pearl Harbor came through on the radio. Paul enlisted immediately, and only a few months later was part of a commando drop into occupied France, where they met up with the local Resistance unit. His squad was ambushed by the Germans, and Paul was the only one to escape. Paul followed the Nazis when they took the survivors back to the farmhouse the Resistance used as a base, and hid outside listening, too terrified to act, until after the last of the American soldiers was interrogated and shot. Something snapped inside Paul at that point, and he burst into the farmhouse, fighting like a man possessed. He came back to his senses only after all the Germans were dead. The last surviving resistance member died in his arms, after telling him how his eyes had blazed during the battle, "like the torch of Lady Liberty". Paul went AWOL at that point, deciding his old life was dead. 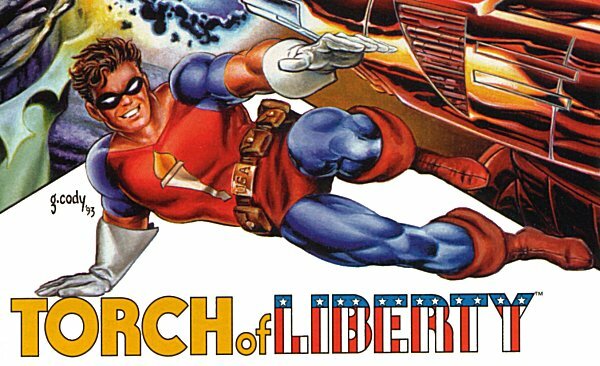 He created a new persona, the Torch of Liberty, a costumed symbol of the fight against the oppressors. For the rest of the war, he fought behind enemy lines, freeing POWs and battling the Nazi supervillain Golgotha. After the war he finally returned home. 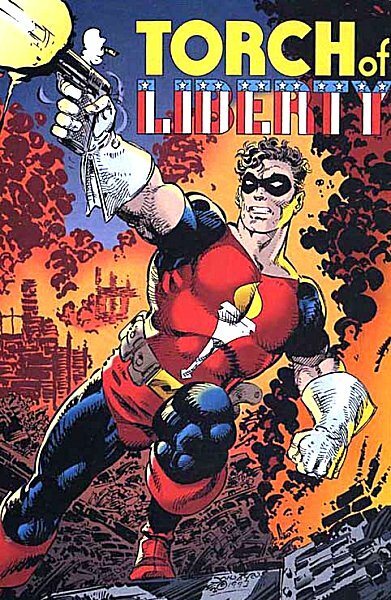 He became a member of the Sentinels of Freedom, and worked alongside Radio Girl against Communist spies such as Lenin's Ghost. His final fate is unknown. Comments: Created by John Byrne. The Torch was present at the "birth" of Hellboy.